I’ve begun a new series of oil paintings of local birds, and they have become very popular! I have several commissions for more and some great ideas for paintings beyond that. It’s really delightful to paint the bird form: forming feathers in oil paint just feels so natural! 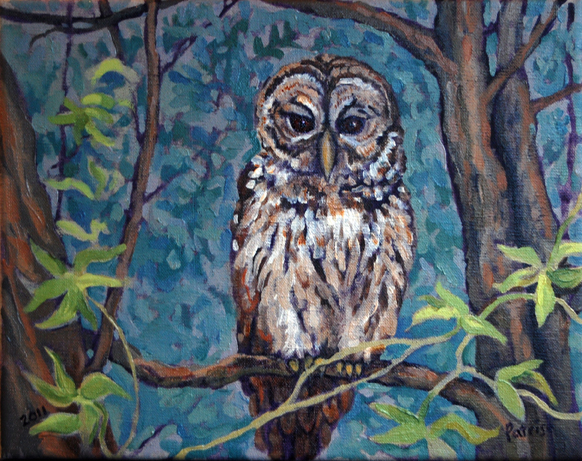 The first one, at right, is Barred Owl on Noname Road, a Christmas gift for my dear friend C.B. who lives on said road. You can see a step-by step tutorial showing how I made this painting, below. The wheel of the year has brought us Northern Hemisphere dwellers to Candlemas, aka Imbolc, Groundhog Day and often Chinese New Year, give or take a week or so. Though snow may lie on the ground, below the earth the seeds are beginning to stir, and the days have grown noticeably longer since the bottom of the year. This morning I rose as the nearly-full moon was setting, framed by holly trees lined with snow. It made a delicate image, like and engraving, but it was a living scene, and it passed in a few moments as Luna sank into the horizon. The dog and I were exhaling steam, and the sky grew paler rose-grey with each breath. 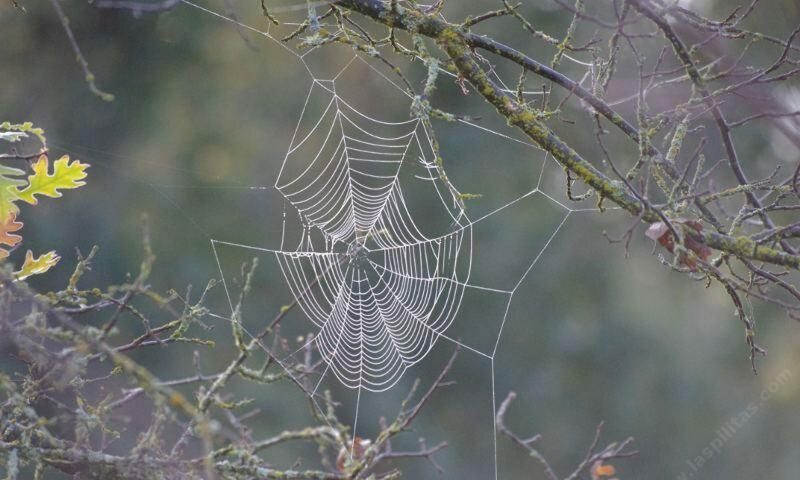 It’s time to become aware of that quickening within: when you step out your door in the morning stay open to the small miracles all around you, and feel how they connect inside.